This Backgrounder details the recent increase in Special Groups violence in Baghdad. 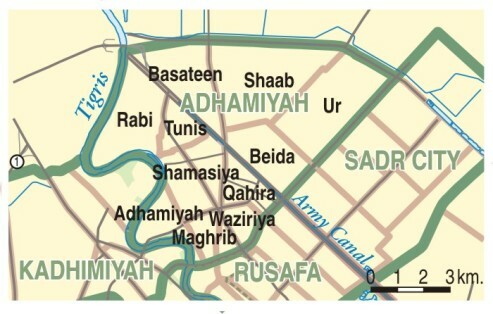 Situated in northeast Baghdad along the Tigris River, the Adhamiyah security district neighbors Sadr City to the southeast, Rusafa to the south, and the Kadhimiyah district across the Tigris. The district is made up of a number of smaller neighborhoods, including Adhamiyah, Basateen, Beida, Maghreb, Qahira, Rabi, Shamasiya, Shaab, Tunis, Ur, and Waziriya. An operation to secure the population of Baghdad by targeting al Qaeda, Sunni insurgent, and Shi'a extremist elements.